Little Bits of this & that….whatever life throws my way! 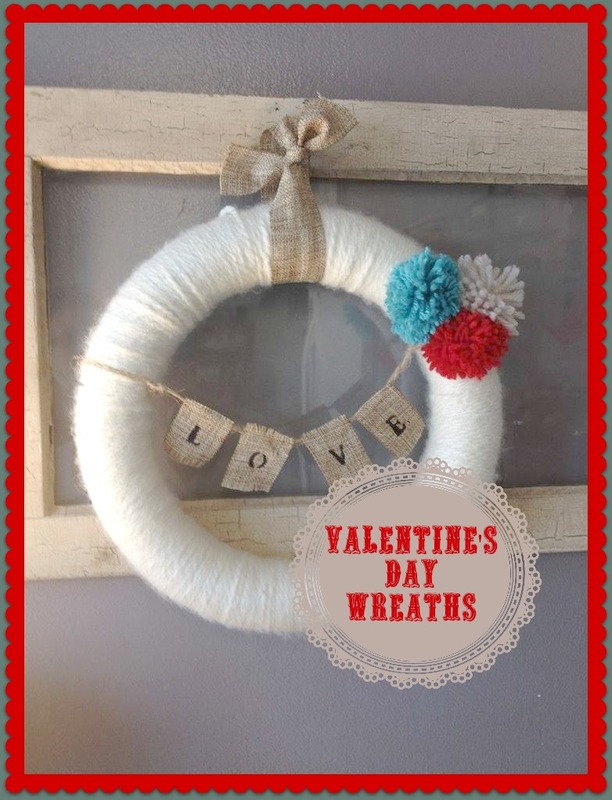 Valentine’s Day Wreath Craft Class! It was a chilly night here in Northeastern Ohio! 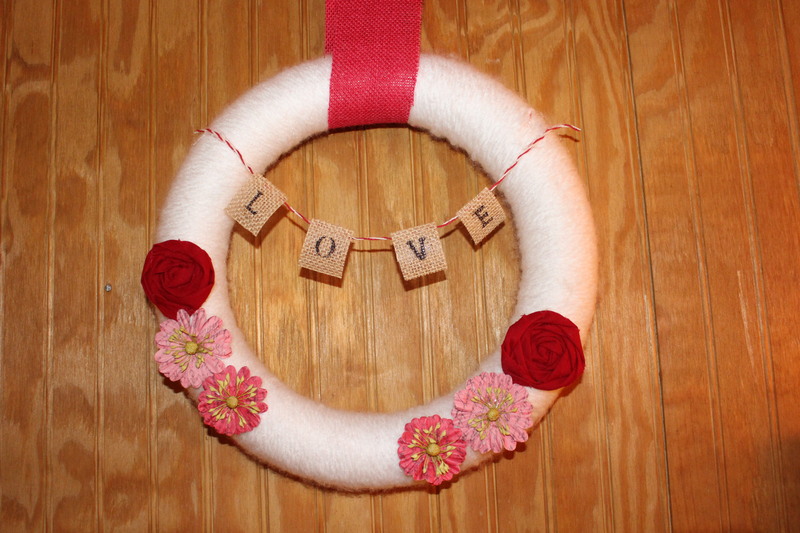 But that didn’t stop all the ladies that showed up to create adorable Valentine’s Day wreaths at my craft class! Oh my…I always say how amazing it is to see the results. Everyone is given the same choices, materials and theme. Yet, EVERY ONE turns out unique and lovely with their own design. It’s a reflection of personality, décor and creativity….and I love seeing it all come together! 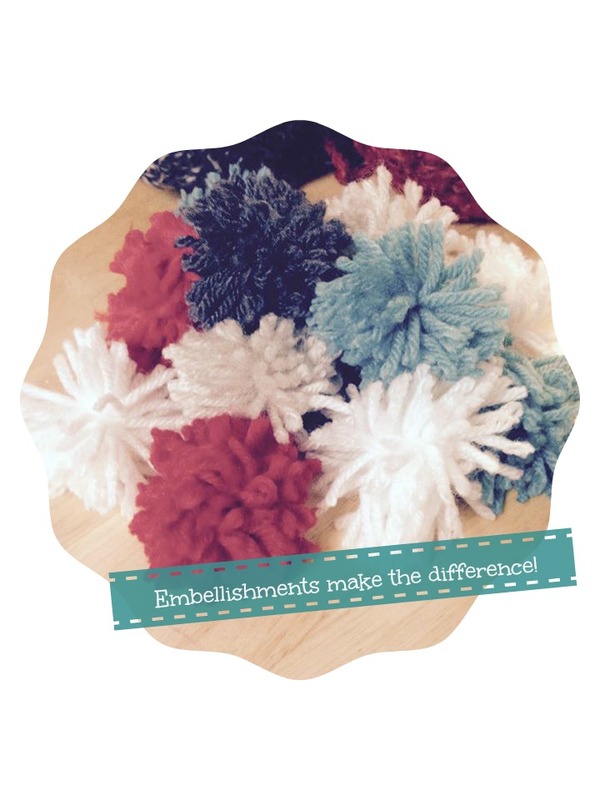 I also made up some cute poms and yarn flowers and had some other homemade embellishments available. 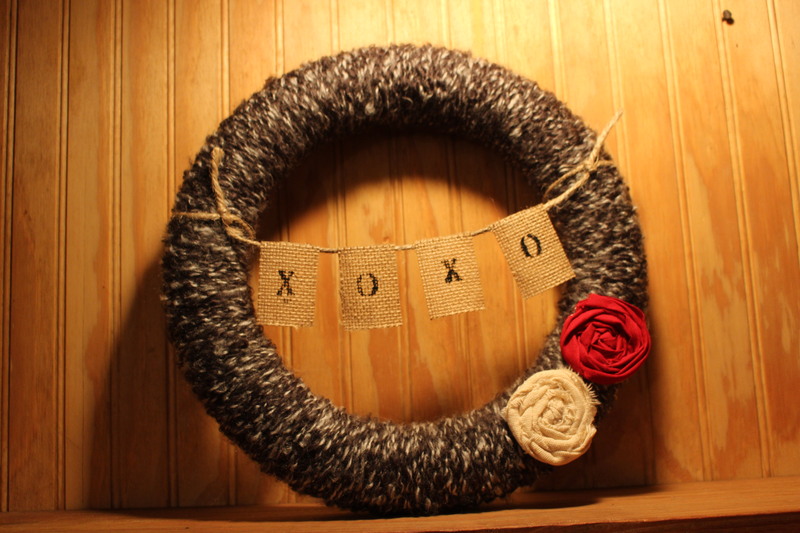 It’s the KEY to really adding personality to each wreath! 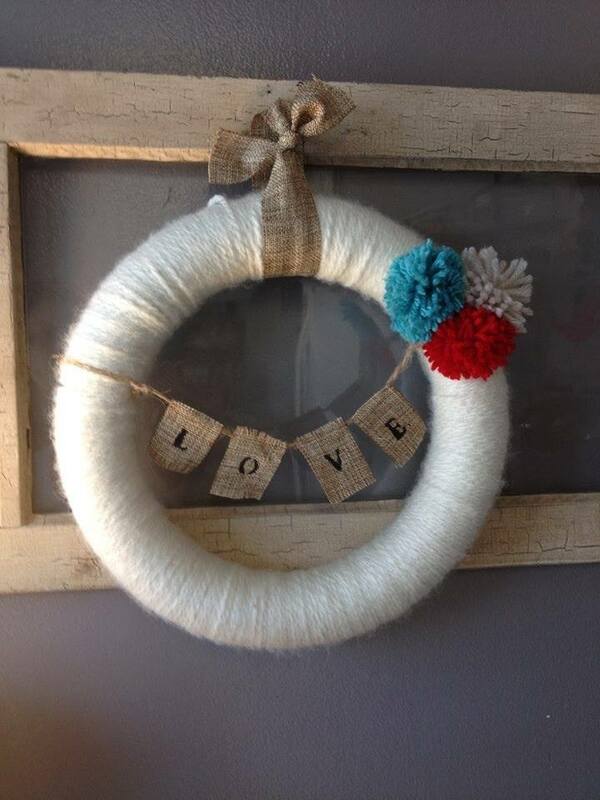 Here is a list of things to have available: yarn, wreath forms (I used 12 inch), embellishments, twine, letter stencils, paint or a sharpie for the lettering, and a hot glue gun. I also printed out some samples of wreath ideas I found –just to give examples of different ways they could be decorated. 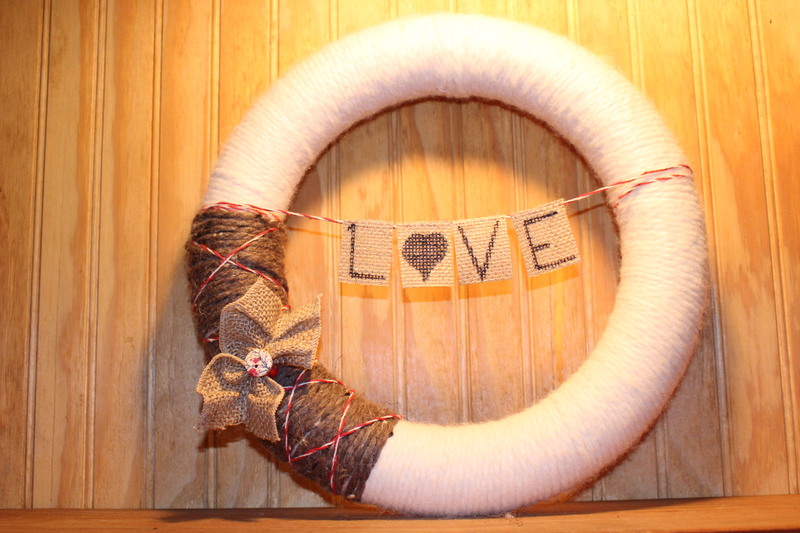 Once you “wrap” your wreath form with yarn, you can either tie a loop at the back to hang, or choose some type of ribbon or twine to use at the top. Then you decide if you are going to do a banner. If yes, then attach the twine from side to side. 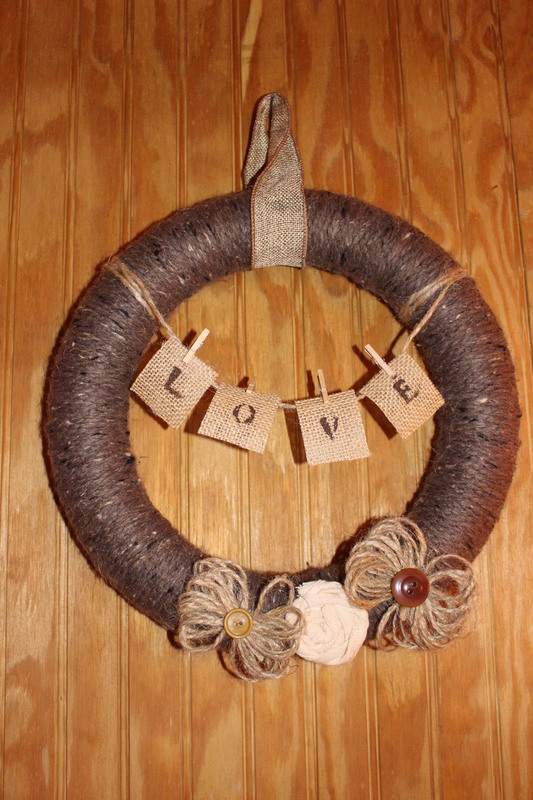 Cut out the burlap and do your lettering BEFORE you glue the burlap pieces to the twine. 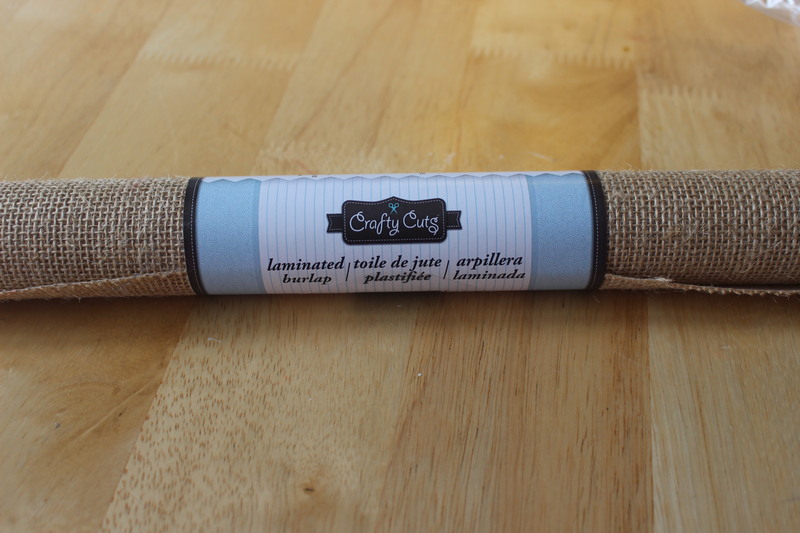 (Trust me, it’s better to mess up and cut more burlap–rather than have to “tear” it off the twine if you mess up!) 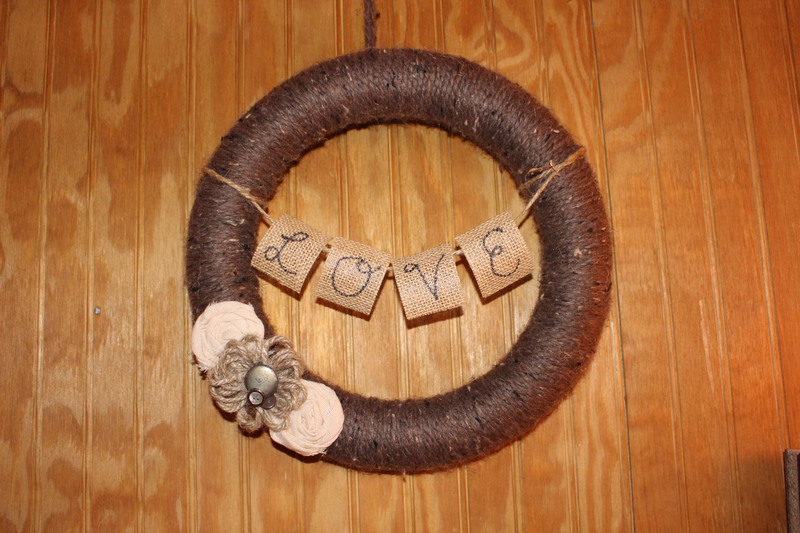 When you have the lettering done, very carefully hot glue each burlap letter piece to the twine. Keep in mind the spacing you want. Add any more embellishments you want and WA-LA! You have a beautiful, amazing, and MADE BY YOU piece of art! Take a look at these AWESOME results!!! 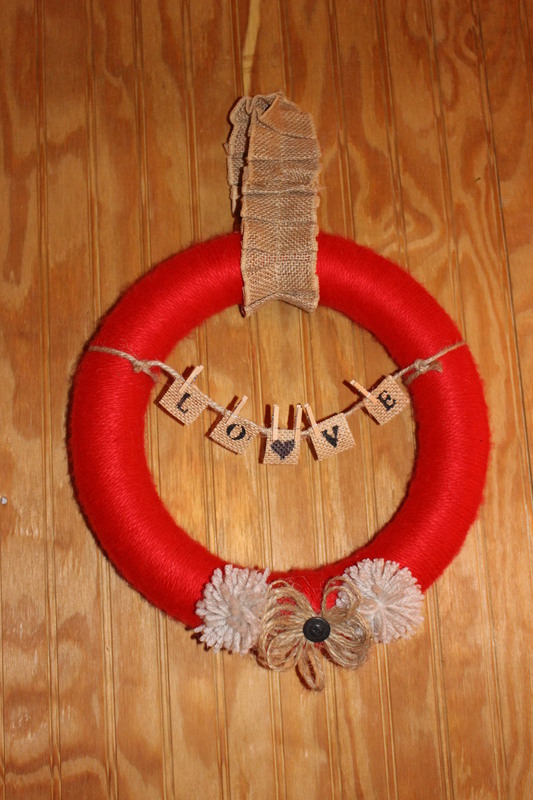 A girls craft night is great–especially to beat the winter blues! You know what? 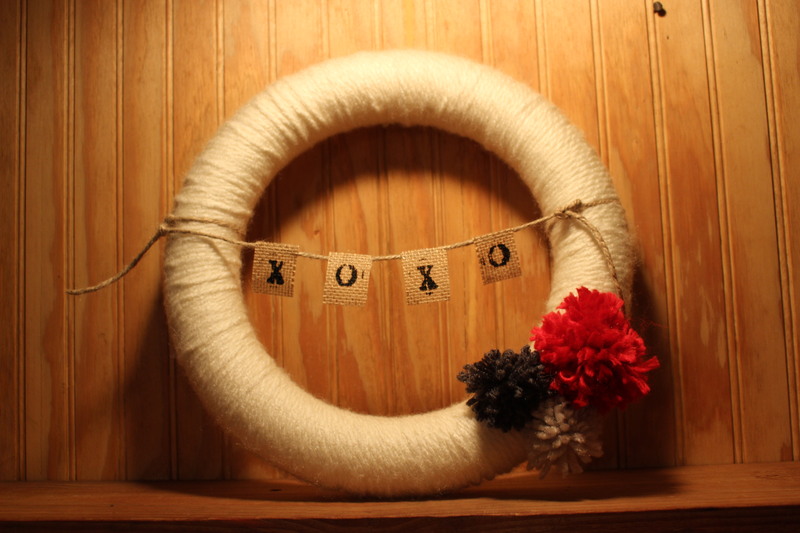 There are a few great things that result from hosting or participating in a craft night! 1. You create something yourself and feel accomplished. 2. You connect with other ladies. 3. 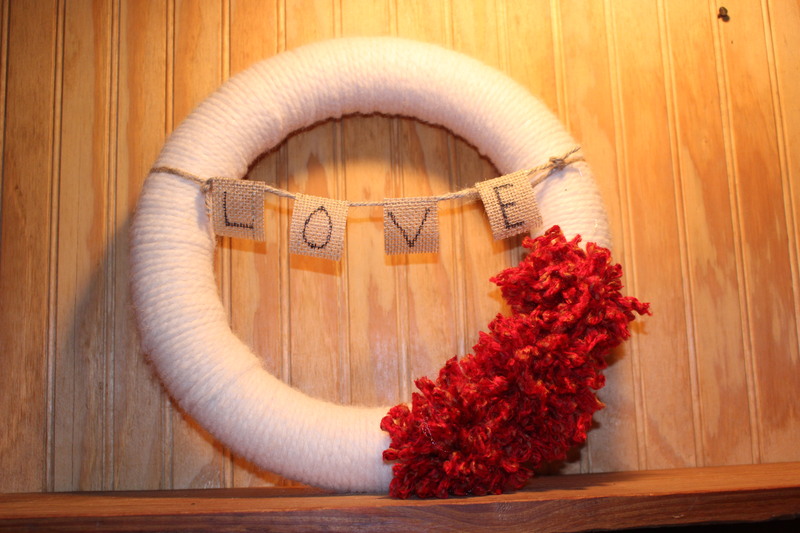 You learn new tricks and get inspired for other home projects. 4. 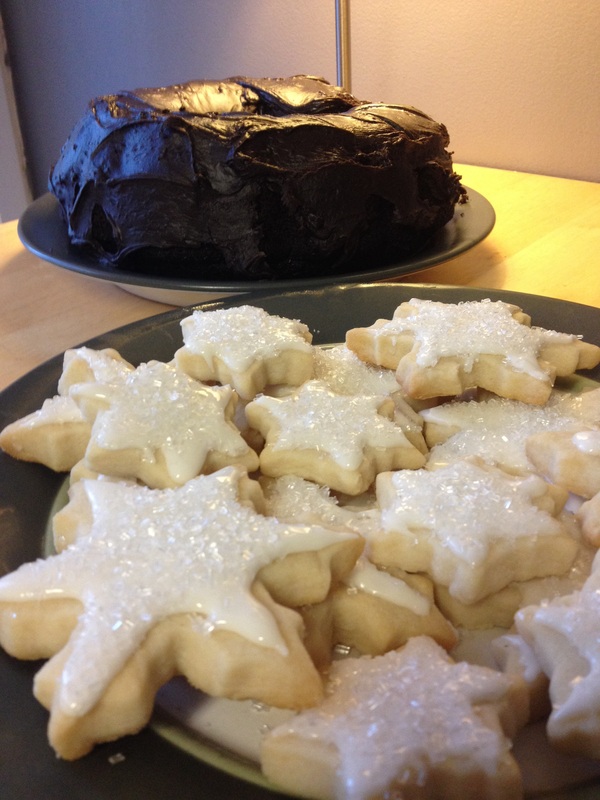 If you add things like coffee & dessert to the evening–you can’t go wrong! Probably the best part is when you are among friends and you make a memory together! 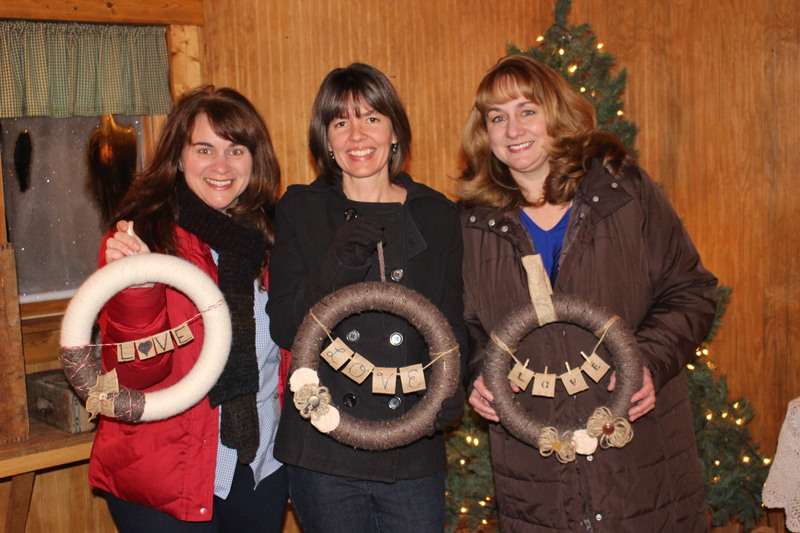 Carrie (left) brought her sister-in-law and sister last night. 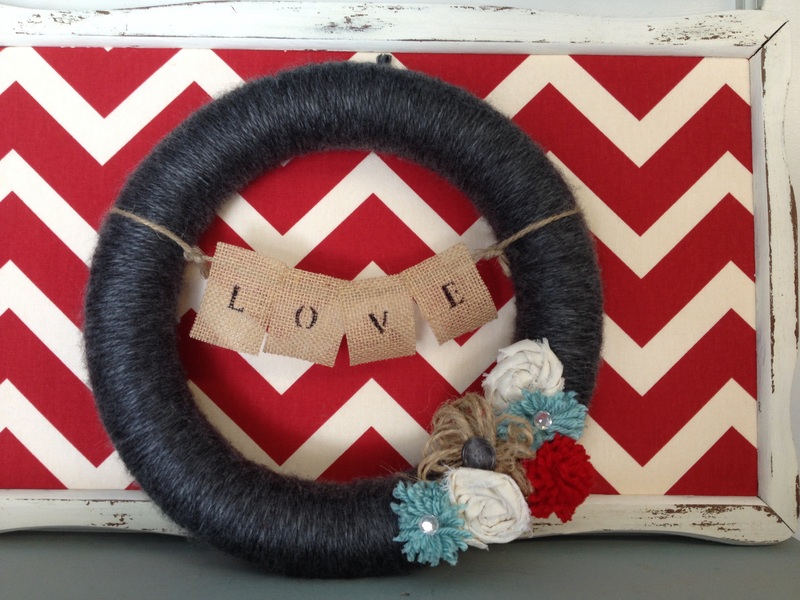 Hope these wreaths give you inspiration to make your own! Happy Valentine’s Day!